Angry Birds is one of the most popular and best game app available for both Android and iOS. 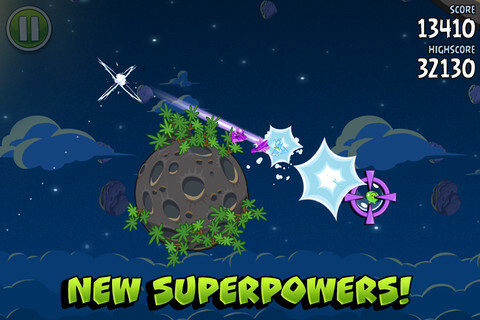 The next iteration of the Angry Birds game, Angry Birds Space from Rovio has landed finally to the app stores. The latest iteration is available for iOS, Android, Windows and Mac. The iPhone / iPad version is available from Apple store for $0.99, an HD version of the game for New iPad is on sale for $2.99. Rovio is selling the PC version of the game from their own store for â‚¬5.95. Mac version of the game is available from Mac app store for $4.99. Free versions of the game for iOS will follow soon. Free version of Angry Birds Space is available for now from Google Play Store and paid version is available from Amazon appstore.